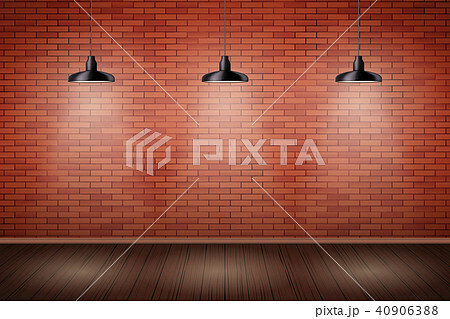 Interior of red brick wall with vintage pedant lamps and wooden floor. Vintage Rural room and fashion interior. Grunge Industrial Texture. Background of loft and trendy showroom or cafe. Vector.